Hello everyone !! 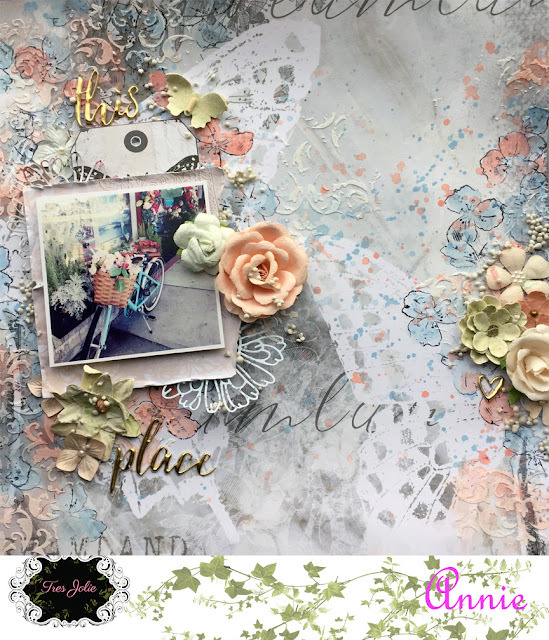 Have you seen this month’s Moodboard ? It is gorgeous and I created a layout with the Mixed Media kit and parts of the Scrapbook kit. It took me a while to decide how I was going to place my 3 circles (Embroidery Hoops) Here is how it ended up. 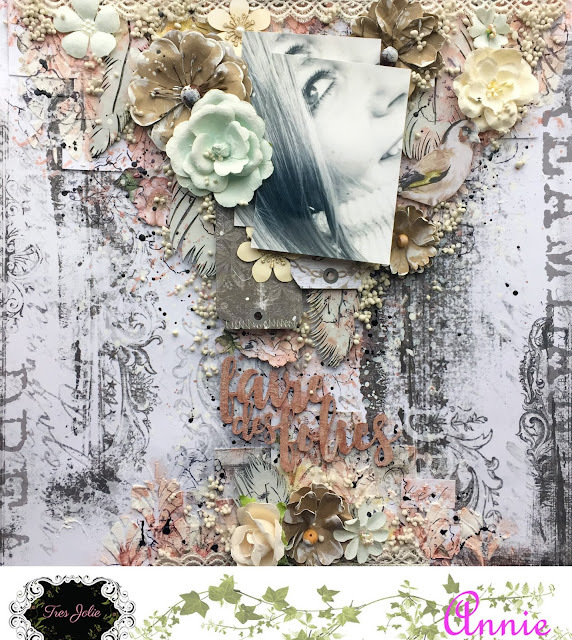 I painted all 3 with White Gesso and used AB Studio’s stencil from the Scrapbook kit on the surface. I mixed Finnabair’s Icing Paste with water and put some on the 3 circles. I then added some texture with AB Studio’s rubber stamp. When everything was done I felt it needed something more, that is why I put the circles on a background paper where I used the Prima stencil with the Icing Paste. Here you can see I painted the metal gears and the key chipboard with White Gesso and added beautiful flowers. I finished off with Arts Stones. The small white words and the round title are from my stash.